← New Decopunk Thriller “Firewater” – Excerpt! 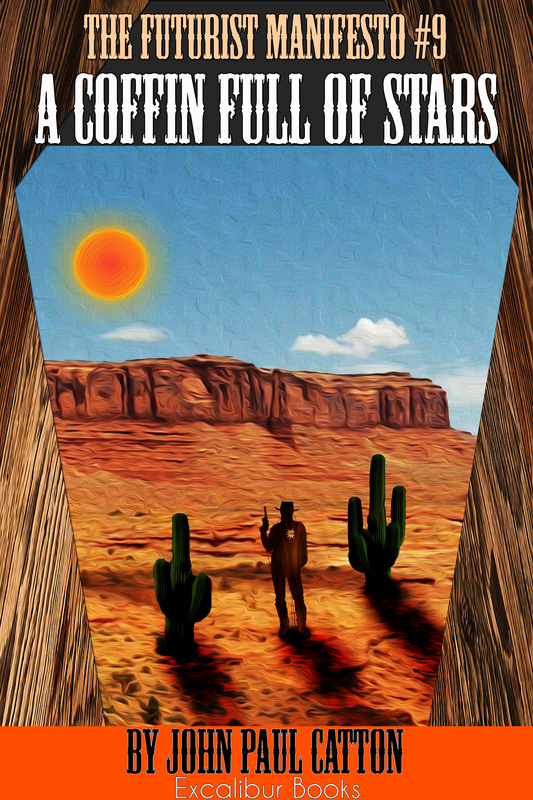 Weird Western Thriller – “A Coffin Full Of Stars”! “Why don’t we all say the last thing we remember?” countered Maxwell. She stopped, choked by a fit of sobbing as she covered her face with the handkerchief. Belle looked embarrassed. Maxwell got up and stood behind Martha’s chair, placing a hand gently upon her shoulder. “Sheriff of what?” asked Jakes. Martha clutched her nose, wiping the tears out of her eyes. As she visibly made an effort to calm down, Jakes felt it again, over the noise of the young woman’s ragged breathing. The walls rattled. The chandelier above them chimed and tinkled as the glass vibrated. Beneath their boots, the ground trembled, and Jakes heard the faint, distant swoosh of displaced air. “What the hell was that?” said Belle crudely. 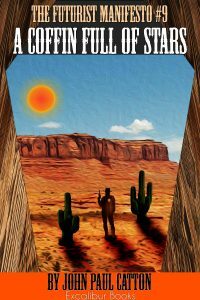 “There ain’t no earthquakes around these parts,” said Jakes reflexively. “We have no idea where these parts are,” Martha said. “Why don’t we all go out and take a look?” called a new, loud voice from the back door. All four jumped up in alarm, their chairs toppling backwards with a crash. THIS STORY CAN BE FOUND IN VOLUME TWO OF “TALES FROM BEYOND TOMORROW” – AVAILABLE HERE! IT CAN ALSO BE FOUND AS AN “E-SHORT” FOR $0:99 – HERE! This entry was posted in Alternative History, Horror, Literature, Mystery, Science Fiction, Short Stories, Steampunk. Bookmark the permalink.